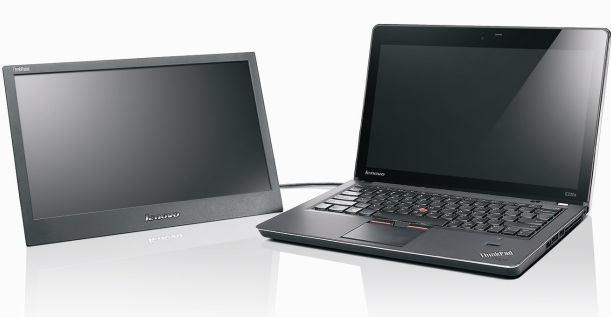 RESEARCH TRIANGLE PARK, N.C. (BUSINESS WIRE), August 11, 2011 - Lenovo announced today the ThinkPad Edge 14-inch E425 and 15.6-inch E525 laptops for small-to-medium businesses (SMB) and the ThinkVision LT1421 Wide, the company’s first mobile monitor that gives mobile professionals a second screen for on-the-go use to display spreadsheets and make presentations. The ThinkPad Edge laptops simplify the overall computing experience for SMBs, starting with a slimmer, more polished design complemented by powerful, reliable technology with choices of the latest AMD processors along with voice and video features for an unparalleled user experience. The new ThinkPad Edge laptops project a smart, polished image with new soft finishes available in color choices of heatwave red or midnight black with either an anti-glare or glossy display. Nearly 13 percent slimmer than previous versions, the laptops can easily fit in a briefcase alongside the ThinkVision LT1421 Wide monitor. The spill-resistant, island-style keyboard provides not only hours of comfortable typing but also contributes to the laptops’ clean, modern design. With the ThinkPad Edge laptops, users can get to work more quickly with 20 percent faster boot up, thanks to Lenovo’s Enhanced Experience 2.0 optimization for Windows 7 PCs over non-optimized PCs. Voice and video calls are a normal part of doing business today. For a premium experience, the laptops come equipped with advanced features including a low-light sensitive web camera, noise suppressing keyboard, microphone mute key and the ThinkVantage Communications Utility 2.0. With this suite of tools, users can conduct video conference calls in low light, quiet their keyboard typing noises for listeners on the call, talk in individual or multiple speaker mode and adjust the camera settings. 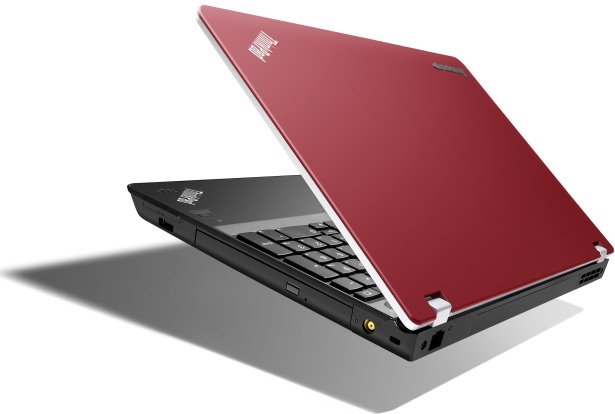 Also to easily manage wireless connections while traveling, users can conveniently close the laptop lid, and the PC will hold the wireless connection for several minutes. Users can even lock their PC with Lenovo’s AutoLock function, which uses the camera to automatically detect when the user is away and subsequently locks the PC. At under two pounds and less than one centimeter at its thinnest, the 14-inch ThinkVision LT1421 Wide mobile monitor makes the perfect traveling companion for traveling professionals, like auditors or consultants. The mobile monitor works great for ad hoc meetings in places like hotel lobbies or cafes that lack access to a projector and even for extra screen space for work that requires multitasking on the go. To use, simply plug the monitor into a laptop via USB and prop it up with its photo frame stand. Tilt the display to the desired angle and choose from 16 brightness levels to get presentations looking their best. Designed to match with the ThinkPad family of laptops, the mobile monitor offers simplicity and elegance with extras like ThinkPad durability and convenient screen cover. Busy SMBs have no time for downtime. That’s why Lenovo included Rescue and Recovery on the laptops to help restore settings and data if it gets lost or corrupted. When SMBs need support beyond included tools, they can turn to a host of Lenovo service and support programs, including Priority Support for technical help, Onsite Warranty for on-site repair, Warranty Extensions, ThinkPad Protection for accidental drops and spills and Hard Drive Retention to keep hard drive data secure.